If you enjoy reading Nightmare, please consider supporting the magazine via one of the following methods. Kindle version will be auto-sent directly to your Kindle/Kindle app every month. Mobi version can be auto-sent directly to your Kindle/Kindle app every month. Individual issues of Nightmare are also available in a variety of ebook formats. Please see our ebooks page for more information. If you’re not sure which format to go with, or you’re not sure how to load ebooks onto your preferred reading device, checkout our Ebooks Tips & FAQ page. If you’re not interested in an ebook subscription, but you’d still like to support the magazine, we now offer options to do so via Patreon (patreon.com/JohnJosephAdams) and a Drip (d.rip/john-joseph-adams). There are no big companies supporting or funding the magazines, so the magazines really rely on reader support. Though we offer the magazines online for free, we’re able to fund them by selling ebook subscriptions or website advertising. While we have a dedicated ebook subscriber base, the vast majority of our readers consume the magazine online for free. If just 10% of our website readers pledged just $1 a month, the magazines would be doing fantastically well. 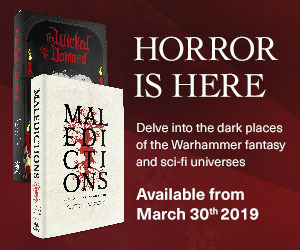 So we thought it might be useful to have an option like Drip and Patreon for readers who maybe haven’t considered supporting the magazine, or who maybe haven’t because they don’t have any desire to receive the ebook editions—or who would be glad to pay $1 a month, but not $2 (the cost of a monthly subscriber issue of Nightmare). Though Lightspeed and Nightmare are separate entities, we decided to create a single “publisher” Drip and Patreon account because it seemed like it would be more efficient to manage just one page on each platform. Plus, since I sometimes independently publish works using indie-publishing tools (as described above), we thought it would be good to have a single place where folks could come to show their support for such projects. But basically, we wanted to create a crowdfunding page where, if you enjoy my work as an editor, and you want to contribute a little something to help make it easier for us to produce more cool projects, then our Drip or Patreon will be the place to do that. What Do I Get Out of Being a Backer or Patron? Well, you get the satisfaction of helping to usher the creation of cool new short fiction projects into the world! Plus, the more support we get, the better we can make the magazines and compensate our authors and staff. By becoming a supporter via Patreon or Drip, you help fund our growth and continued publication of two award-winning magazines. Of course, if you’re already one of our ebook subscribers (thank you! ), you are already supporting us. This is for those who prefer to read the issues each month on our free websites, or wish to support our efforts more generally. By becoming a supporter, you are also bestowed a title, such as Dragonrider, or Space Wizard, or Savior of the World and/or Universe, thus making you instantly the envy of all your friends. Drip and Patreon are both membership platforms that allow you to sign up for recurring payments to your favorite creators. Whether it’s pledging just $1 a month, or you pledge more, both are an easy way to financially support the creative things you love on a regular basis. Drip was created by Kickstarter, and thus uses the same login credentials and charging practices as Kickstarter does. So to pledge via Drip you don’t need to create a new account; you’d just go there and login with your Kickstarter credentials and you’re all set and ready to pledge. Patreon is an entirely separate entity, but it’s very simple to sign up for an account and start pledging. Drip also has something called a Founding Member period at the start of your campaign. So anyone who becomes a backer during the first 30 days of our Drip (so, in this case, by March 30) is designated as a “Founding Member” and will always be labeled as such on Drip so long as you maintain your backing. It allows creators to keep track of who their early supporters were, so that down the line you can do special things to thank those folks and such. If you’ve read this far, thanks so much. We hope you’ll consider becoming a backer on Patreon or Drip. Those URLs again are d.rip/john-joseph-adams and patreon.com/JohnJosephAdams.